During our summer vacations while in school, we used to attend the Vacation Bible School for 10 days. Every year the theme would be on one of the parables Jesus spoke. The theme for the summer after my Grade 6 was the ‘Good Shepherd’ parable as described in Chapter 10 of the Gospel According to St John. At that young age of eleven, the parable had a great impact and over the years I must have read it umpteen times and every time I read it, I interpreted it differently. The variations in my interpretations were caused by the varied experience one had serving the Army and the difficult situations one faced. I can now confidently say that the interpretations ‘matured’ with each passing day and with the experiences I gained. The entire interpretations given below are solely personal and have no theological or religious connotations. I have selected verses 1 to 5 and 11 to 14 and have purposely omitted verses 6 to 10. I have clubbed a few verses being interconnected. Verse 1. Very truly I tell you, anyone who does not enter the sheep pen by the gate, but climbs in by some other way, is a thief and a robber. Verse 2. The one who enters by the gate is the shepherd of the sheep. The leader got to face the team they lead from the front. He got to face up to each member of the team and must avoid the tendency to ‘sneak in’ from the side or the back. This applies more in case the team is facing an adverse or difficult situation. The leader got to be confident and this confidence is the resultant of professional knowledge and integrity. Any leader with good intentions will always be accepted and such leaders would always enter from the main door. Verse 3. The gatekeeper opens the gate for him, and the sheep listen to his voice. He calls his own sheep by name and leads them out. The team has to understand the voice of the leader and there by the leader’s intentions. The team will understand these only in case the leader is willing to communicate effectively with his team members. Further one has to know each member of the team and in case you know them well, you will always call them by their names. That could be the reason why in the armed forces everyone wears a name-tag. Earlier the Indian Railway staff and the State Transport staff used to wear their name-tags. In Canada, anyone who comes in personal contact with the customers is always seen wearing their name-tags. Who does not want to be addressed by their names than the “shoo – shooo” one often uses in the Indian Restaurants and public offices. Leading from the front is the most important aspect of leadership. No one likes back-seat driving, even if the back-seat driver is the spouse or children. Verse 4. When he has brought out all his own, he goes on ahead of them, and his sheep follow him because they know his voice. The necessity for the leader to take the entire team together and lead them from the front is the essence of this verse. Here again the importance of the team knowing the leader is stressed. In case the leader fails to communicate well with his team and make his intentions clear, will become a stranger. The team would never accept a stranger and would never be confident to follow a stranger. Verse 11. I am the good shepherd. The good shepherd lays down his life for the sheep. Verse 12. The hired hand is not the shepherd and does not own the sheep. So when he sees the wolf coming, he abandons the sheep and runs away. Then the wolf attacks the flock and scatters it. Verse 13. The man runs away because he is a hired hand and cares nothing for the sheep. The above three verses apply in literal sense to military leadership, where the call of duty takes one into life and death situations. This also applies to all leaders; the only difference could be that one does not have to lay down one’s life, but at times may have to pay for with his status, money etc. Any leader who works for self-glorification and physical rewards is the hired hand. The famous saying that ‘in case you work you get more work else you get your pay’ applies here. Such a person does not ‘own’ the team and is bothered more about his self-interest. They would be the first to sacrifice a team member in case something goes wrong. Often heard these ‘hired hands’ saying “I briefed him in detail about the task, but he goofed it up”. They never realise that their voices were not recognised by the team (sheep) as the briefing must have been ineffective or the leader did not know the ability of each team member (sheep) as to what they can deliver. The hired hands would always vanish from the scene when something goes wrong and will only surface to gobble up all the credit for the effort of the rudderless team to overcome the adverse situation. Verse 14, I am the good shepherd; I know my sheep and my sheep know me. You got to know the team (sheep). You got to know every team member in depth. You got to know the strengths and weaknesses of each. A good leader who knows his team will always project the strengths of his team members while covering up their weaknesses. Once the leader knows the team, the team would have known the leader. In order to know the team, the leader got communicate, both formally and informally with the team members. Theses communications opens up the personality of the leader and based on it each team members makes an opinion or impression about the leader. Everyone has to assume leadership sometime or the other; it may be at work, in your class, at home, during family or social events etc. 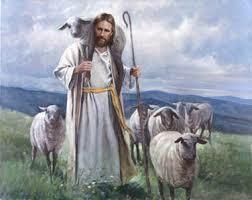 Wishing all the leaders the grace of God to became a “Good Shepherd”. Journey of fact, that can not be hidden behind any walls, well carved and penned by a person who literally walked through all his past days himself. Reji keep doing this, we will keep tempting you to write more.